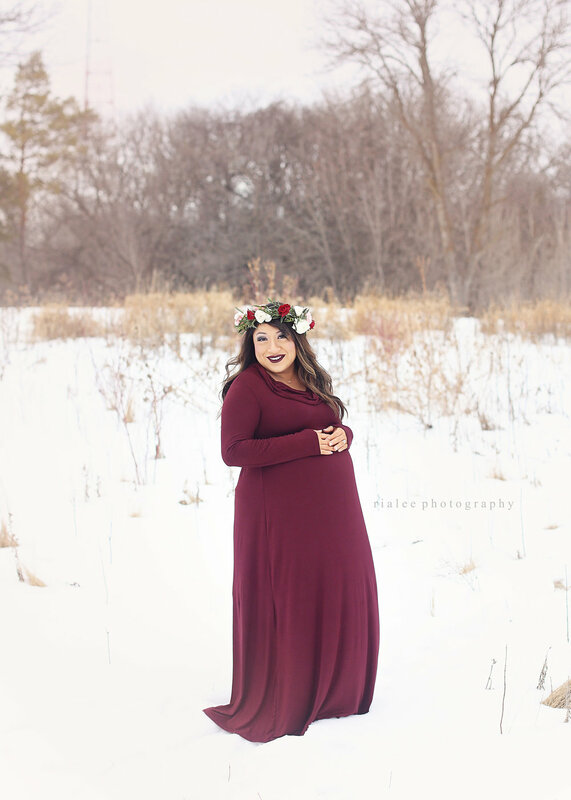 I had the opportunity to do their pregnancy reveal photos and they were SO cute, and then when Michelle emailed me with her ideas for her maternity photos I fell in love even more. 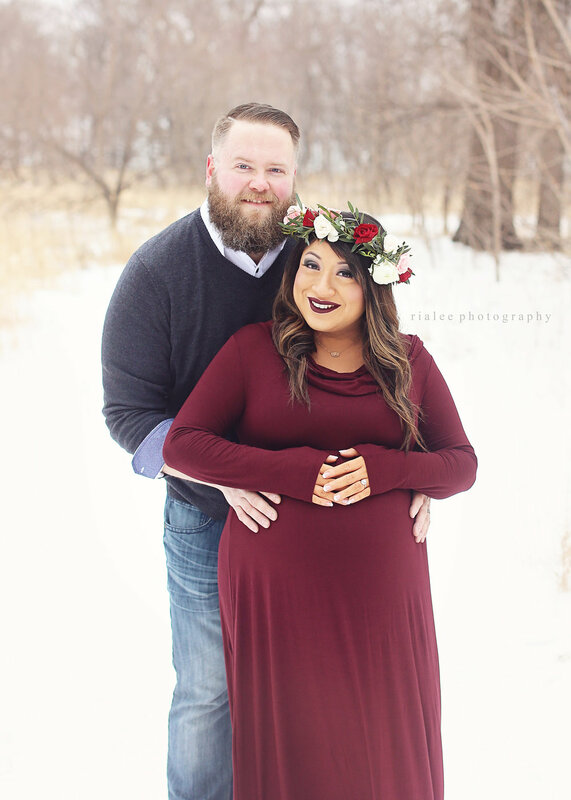 Scheduling outdoor photos in January in North Dakota is never an easy process, but we finally got a date with some sun and warmer temperatures, and most importantly, no wind! She had ordered an amazing long flow dress for the shoot and then had Love Always Floral make this special floral head wreath. The final effect against the white snow was STUNNING!